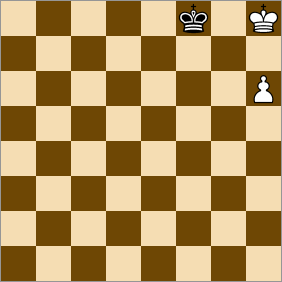 What is your best definition of Key Squares in King and Pawn vs King Endgame Theory? Please provide graphics if possible. Is there a difference between "Key Squares" and "Critical Squares" or are these terms interchangeable? 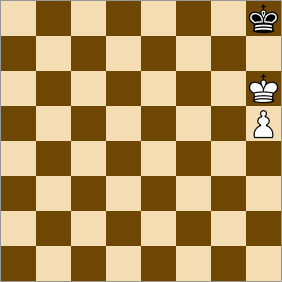 The terms Key Squares and Critical Squares are sometimes used interchangeably in chess literature on King vs. King and Pawn endgames. 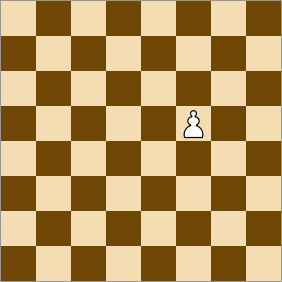 A square is called a Key Square when occupation of it by the attacking king will secure a win regardless of which side is to move. In this example image the Key Squares for the white pawn are e6, f6, and g6. In this image the pawn on f5 has two sets of key squares: e6, f6, and g6 as well as e7, f7, and g7. If White's king can occupy any of those 6 squares he can secure the win. These positions show a draw regardless of which side has the move. I'm reading Fundamental Chess Endings by Karsten Muller and Frank Lamprecht right now, and the authors seem to imply there is a distinction between key squares and critical squares. On page 14, there is a list of symbols used in the text. A circle is used for a critical square and a star is used for a key square. So, there is an implied difference in this book. But I am puzzled as to what the difference is. "Key square" is defined on page 21 but "Critical square" is not defined before the authors start casually using the term. To add to the confusion, the authors use the circle symbol in diagrams on page 24 but refer to the squares marked with a circle as key squares. Also, the terms key squares and critical squares are used in more endings than just king and pawn vs. king. Not the answer you're looking for? 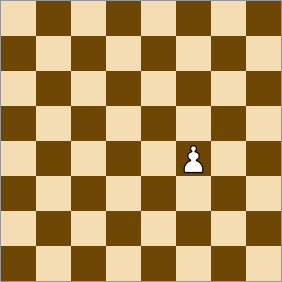 Browse other questions tagged endgame pawns kings or ask your own question. What are the mistakes committed by players who take many years to become an expert?